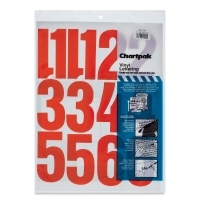 Use self-sticking, water-resistant Chartpak Vinyl Numbers to make professional-looking signs and displays and to identify belongings, including tools and vehicles. 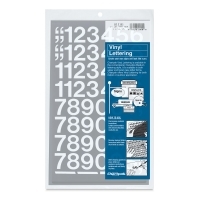 The die-cut Helvetica font numbers are great for both indoor and outdoor use. Sets include monetary and numeric symbols. The quantity of each character is listed in the Item Specs tab.